Get the award winning musical puzzle platform game on your iOS device now! Resonance was the big winner at the Dutch Global Game Jam in 2010 where it won both the audience award and the jury 1st prize. And now you can download the game to you iOS device for free! 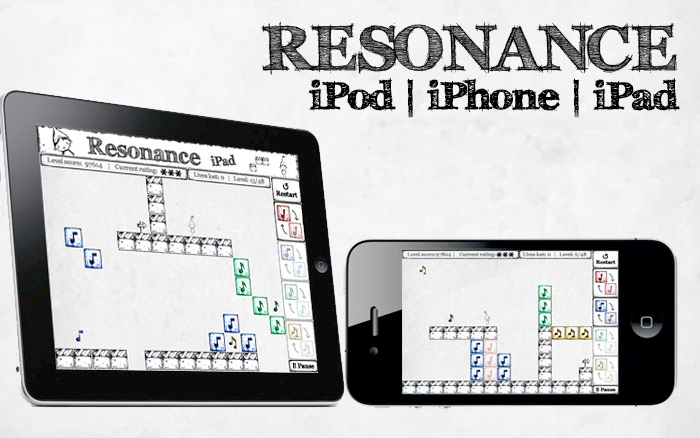 Resonance is a stylish platform puzzle game originally created during the Global Game Jam in 2010. Your goal in each level is to reach the end sign. Collect music notes to resonate the blocks and manipulate the levels. Get the game from the AppStore here!